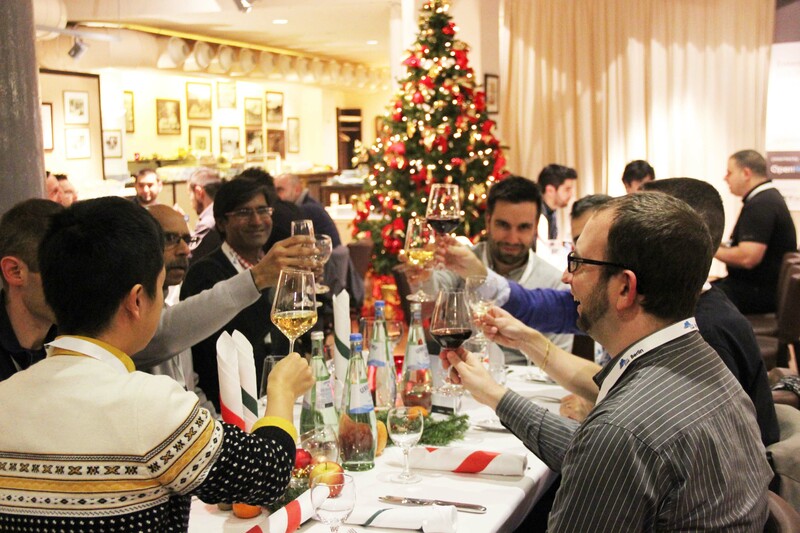 Last year, we launched the second OpenNebula Conf in Berlin, Germany. We could welcome an international audience of people from 12 different countries, had experts from companies like CentOS, Runtastic, Puppet Labs, Cloudweavers, RedHat, Deutsche Post and could offer three fully packed days of tutorials, workshops and talks about OpenNebula to our guests. 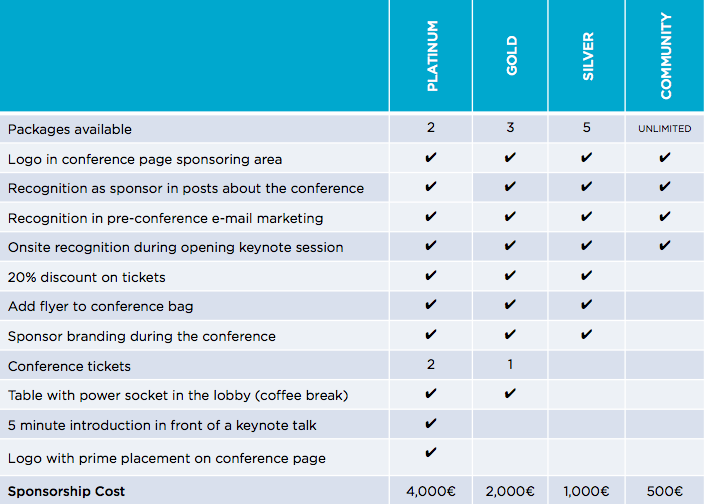 This year, the OpenNebula Conf will take place at the cosmopolitan city of Barcelona from October 20th to 22nd and we want you to be part of our team of sponsors and profit from OpenNebula Conf’s popularity as a supporter of the event! 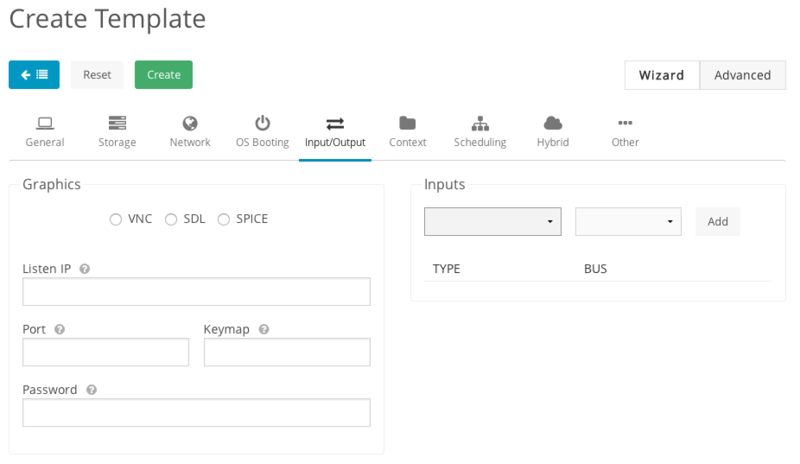 In addition to the well known VNC support in Sunstone, OpenNebula 4.12 will include support to interact with Virtual Machines using the SPICE protocol. This feature can be enabled for any Virtual Machine just checking the option in the input/output section of the Template creation form. In this post I’ll share with you one of the new 4.12 features we are working on: Virtual Data Centers. Well, it’s not entirely new, because OpenNebula already had VDCs, but we have redesigned them to be more powerful. Cluster: Group of physical resources (Hosts, Virtual Networks and Datastores) that share common characteristics or configurations. For example, you can have the “kvm” and “vmware” Clusters, or “kvm-ceph” and “kvm-gluster”. Virtual Data Center (VDC): Defines a assignment of one or several Groups to a pool of Physical Resources. This pool of Physical Resources consists of resources from one or several Clusters that could belong to different Zones, or public external clouds for hybrid cloud computing. The following image shows three VDCs (in blue, red and green) and the resources assigned to three Groups. 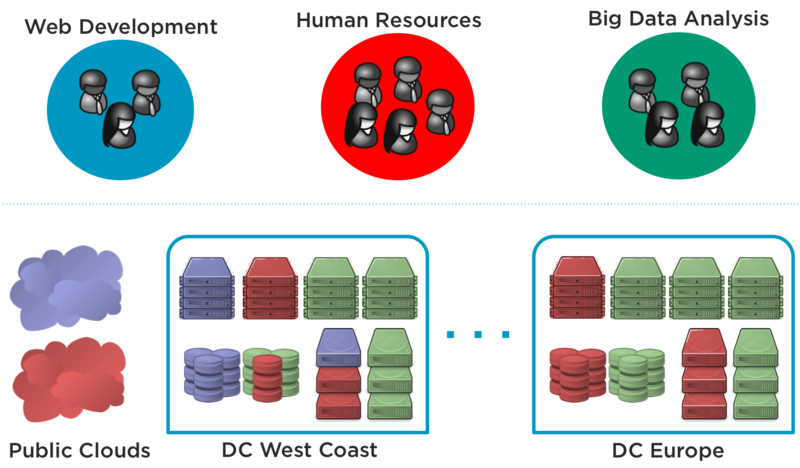 As you can see, the red VDC assigns the Human Resources Group to resources from two different Zones (individual data centers), and a public cloud provider. 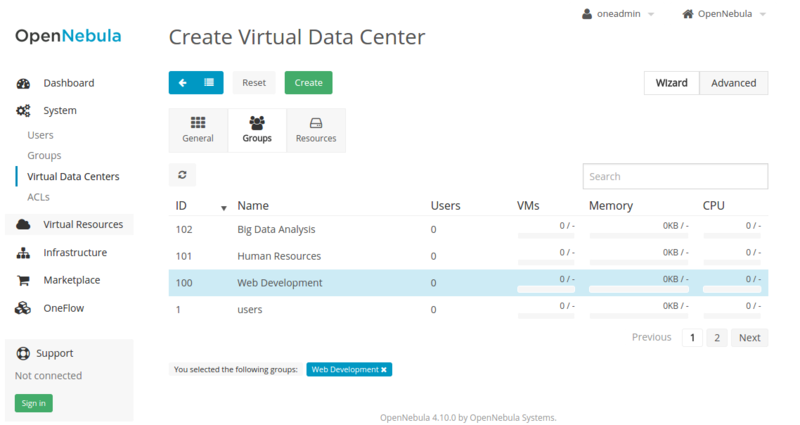 In OpenNebula 4.6 the terms Virtual Data Center (VDC) and Resource Providers were introduced. A Resource Provider was not a separate entity, it was the way we called a Cluster assigned to a Group. The term VDC was used to name a Group with Resource Providers (Clusters) assigned, but was not a separate entity either. Starting with OpenNebula 4.12, VDCs are a new kind of OpenNebula resource with its own ID, name, etc. and the term Resource Provider disappears. Making VDCs a separate resource has several advantages over the previous Group/VDC concept. Now that VDCs are a separate entity, they can have one or more Groups added to them. This gives the Cloud Admin greater resource assignment flexibility. For example, you may have the Group Web Development added to the ‘low-performance’ VDC, and Big Data to the ‘high-performance’ VDC. If the Web Development requirements change for a few days, the Group can be additionally added to the ‘high-performance’ VDC. In previous versions, this single operation would require you to write down which resources were added to the Group, to undo it later. From the resource assignment perspective, the new VDC approach allows to create more advanced scenarios. In previous versions, the Group’s Resource Providers were whole Clusters. This had some limitations, since Clusters define the topology of your physical infrastructure in a fixed way. The Admin could not assign arbitrary resources to a Group, he had to choose from those fixed Clusters. The new VDCs contain a list of Clusters, just like before, but they can also have individual Hosts, Virtual Networks, and Datastores. This means that a VDC can create logical groups of physical resources, that don’t have to resemble the real configuration of the physical infrastructure. For example, you may have one ceph Datastore and 10 Hosts inside a Cluster, and now you can assign one individual Host to a VDC whereas before you had to assign the whole Cluster, or create smaller Clusters. The latter option was not very practical, because Datastores can only be in one Cluster at a time, so you would need to split your storage between the Clusters. We are quite pleased with how everything fits together, and this is because the requirements for this improvement of the VDC model came from our users. Hopefully you’ll find it useful too, we are looking forward to your feedback. OpenNebula Systems has just announced a number of changes to its Partner Program. There are new benefits in its existing Service (formerly known as Consulting and Integration) Partner and Technology Programs, and new Partner Programs for Training and Reselling have been created. More details at the OpenNebula Systems Partner area. Fix vulnerability in the xmlrpc server. All the packages except CentOS 7 are vulnerable and can lead to DOS attacks. You should upgrade as soon as possible if you have public facing xmlrpc interface. Thanks to Dennis Felsch and Christian Mainka for discovering it. vCenter: Contextualization support. Make sure that you download the new context packages. vCenter: Reacquire VM Templates from existing vCenter host. vCenter: Import VM Templates with logo and description. Sunstone: Easily add SSH keys to a user. Sunstone: Default quotas are shown for a user when there are no used resources . For a more exhaustive list you can check the issue tracker. Make sure you backup your configuration and happy upgrading! Following last year’s successful event, we are happy to announce that the third annual OpenNebula Cloud Conference will take place on October 20-22 at Barceló Sants Hotel in Barcelona. This new edition of the OpenNebula Conference will be a great opportunity to share experiences and meet people with expertise and interest in OpenNebula. OpenNebula Conferences serve as a meeting point of cloud users, developers, administrators, integrators and researchers, featuring talks with experiences and use cases. They also include tutorials, lightning talks, and hacking sessions that provide an opportunity to discuss burning ideas, and meet face to face to discuss development. The third OpenNebulaConf will open its Call for Presentations in a few days, stay tuned for content updates. Cloud Expo Europe in London, 11-12 March 2015, where we will be present in one of the corners of the Open Cloud Park in the exhibit hall with our partners CloudWeavers and ViApps. We will also have a kiosk there to demo the new vOneCloud. VMworld Europe in Barcelona, 13-15 October 2015, where we will have a booth to demo the VMware support in OpenNebula and the new vOneCloud. You can help us spread our word. Speaking at a technical conference is an excellent way to share your experiences and participate in the community. We can provide different types of support, like review your talk or promote it through our blog and social instruments. You can use any material available at this site. 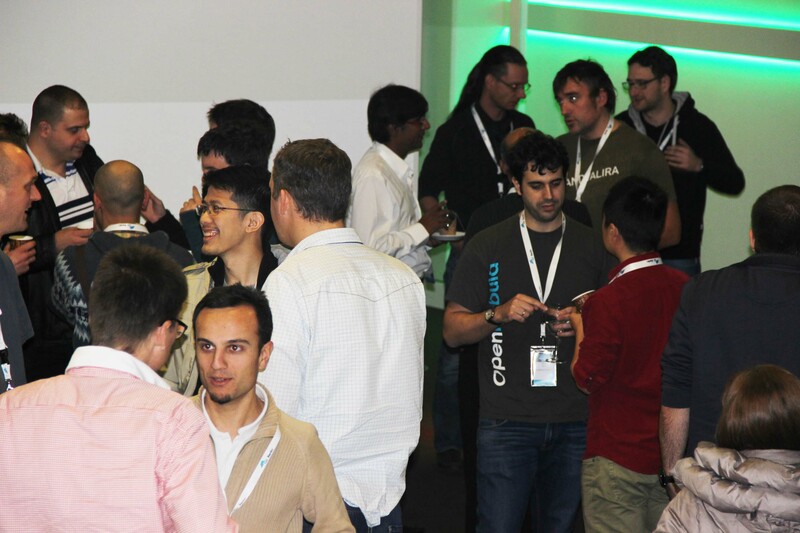 We strongly encourage you to submit talks for all open cloud community events. Join our community discuss mailing list if you are interested in speaking about OpenNebula. The latest presentations are available at the OpenNebula SlideShare account. In a few weeks we will announce the date and venue for our anual community conference. Stay tuned!. We are organizing the 2015 schedule of TechDays, send us an email or send it to the community discuss mailing list if you are interested in hosting a TechDay event. We also look forward to proposals to create a user group in your area. We have just published the schedule for 2015 public classes at OpenNebula Headquarters. Please contact us if your would like to request training near you.